Homeowners Associations (“HOAs”) have traditionally encountered problems with renters in their communities. Because renters do not have an ownership interest in their units and the HOA, they may feel less invested in the community. This often results in renters failing to (1) comply with the HOA’s CC&Rs and/or (2) properly adhere to the HOA’s rules and regulations. HOAs that have high quantities of renters typically find themselves paying more in enforcement costs compared to those Associations that have smaller renter populations. 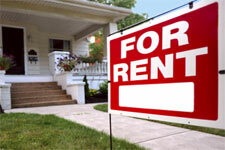 Senate Bill 150 (“SB 150”), which takes effect January 1, 2012, will effectively prohibit HOAs from adopting the types of rental restrictions they have utilized in the past. In sum, SB 150 exempts owners in a HOA from any rental restrictions that were not in effect prior to the date the owner bought into the community. We have published a resource on SB 150 that discusses this issue in more detail and provides a recommendation for HOAs that have, or are considering, adopting rental restrictions in their community. The resource, entitled “Senate Bill 150 and the Impact on Rental Restrictions” is available for download in our library.